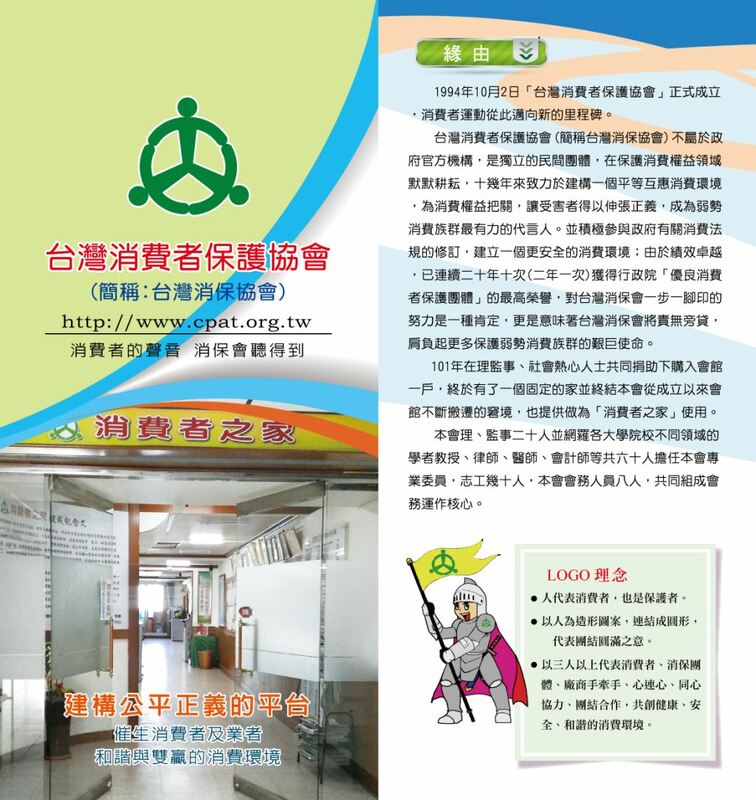 Officially founded on October 2, 1994 and based in Kaohsiung City, Consumer Protection Association in Taiwan (CPAT) is a non-profit, non-governmental civil organization, whose objectives are toprotect consumer rights and Interests, to enhance consumer’s status, and to promote “consumer awareness” education. 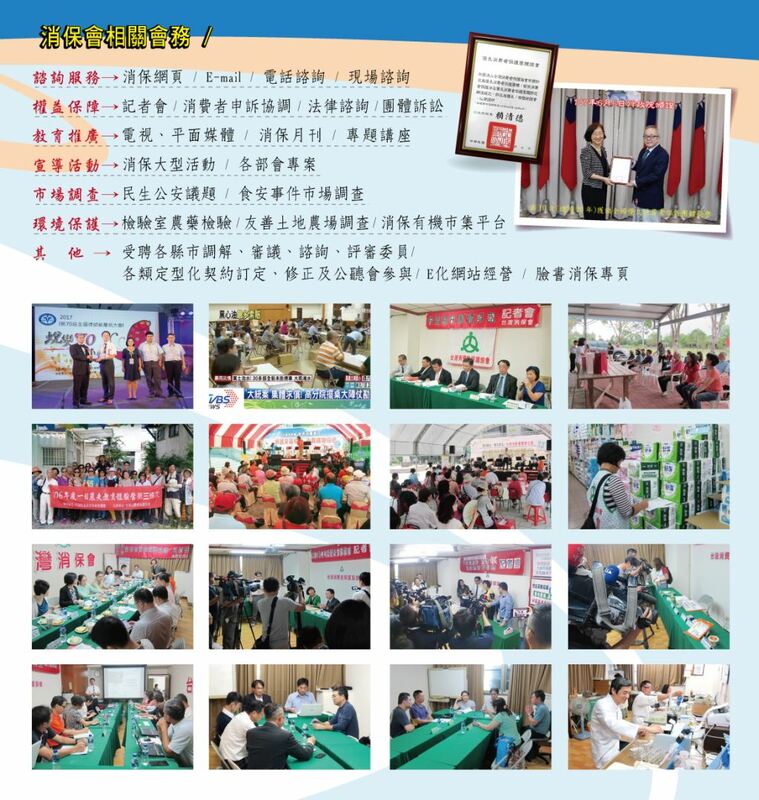 The original designation, when first founded, was Consumer Protection Association in Republic of China; however, it was later changed to the current CPAT in March 2003 due to the fact that the same very name had been simultaneously used by two different associations. Since then, the CPAT, a substitute name ratified by the Ministry of the Interior, has set for a new milestone for a consumer rights movement. Through endless efforts and dedications, the CPAT has hence become one of the two nationally-acclaimed consumer advocacy associations that have a rating of excellence by the Executive Yuan. In accordance with Consumer Protection Act, the CPAT is eligible for taking assignment of a group of 20 or more consumers and may bring litigation in court, providing more consumer services in scope as well as in depth. Copyright © 台灣消費者保護協會 All Rights Reserved.